Do You Love to SING but don't know where to achieve it? Emerald City Chorus can provide the opportunity. Who is emerald city chorus? Emerald City Chorus members can attest to the fact that dreams do come true! In late 2006 we envisioned a vibrant and thoroughly motivated chorus with aspiring goals and visions. Most of all we wanted to have fun! As we come together each week for rehearsal, we experience wonderful camaraderie, the best possible musical education, and the exhilarating feeling of singing one of America's original art forms, barbershop harmony. Goosebumps have been known to appear on many occasions! Sweet Adelines International is a worldwide organization of women singers committed to advancing the musical art form of barbershop harmony through education and performances. This independent, nonprofit music education association is one of the world's largest singing organizations for women. "Harmonize the World" is the organization's motto. All our rehearsals are open to the public and to potential new members, so why not pay us a visit. We always have a space for a visitor on the risers. A spot just for you. 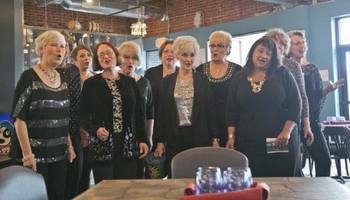 Want emerald city chorus to sing at your next function? 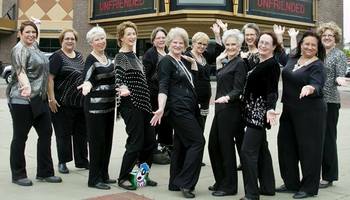 Why not hire Emerald City Chorus to entertain at your next event? We can perform at corporate functions, charity events, community Entertainment events, and much more.